Mobile device support keeps your customers moving with on-the-go assistance. Support Apple iPhone or iPad? Absolutely. 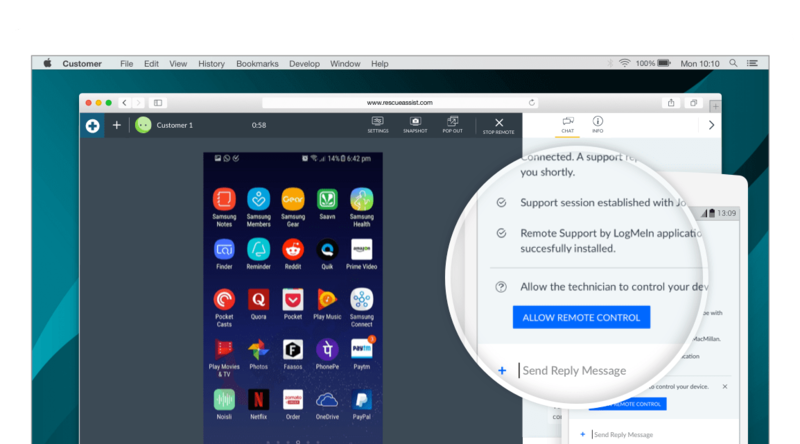 Remotely view and control your customers’ Android* devices to perform tasks and resolve issues as seamlessly as if you were there in person. 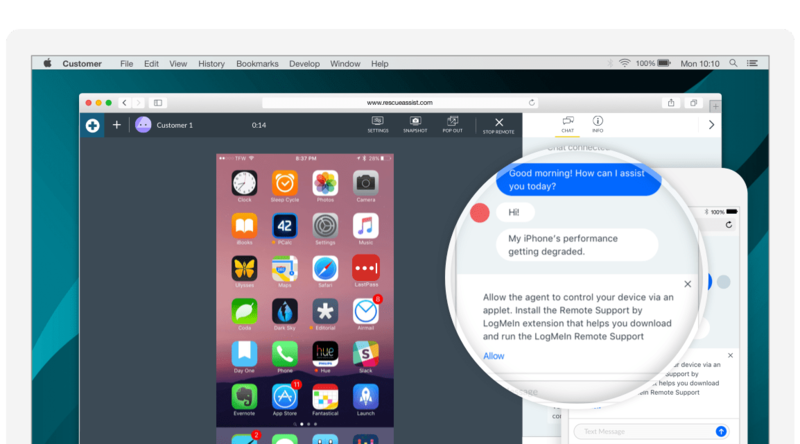 Communicate simply and transparently during a mobile support session through chat. Your customers will always know what’s going on and can ask questions at any time for a better overall user experience.